Goodbye Summer, Hello Fall! | Hey, Girlfriend! One of our “Hey, Girlfriend!” readers, Joy, from Port Orchard, Washington suggested we post about Fall and Harvest. While at Roger’s Gardens in Corona Del Mar, I saw these cute pumpkins filled with succulents and thought it would be a fun topic to talk about. This is a really easy project to do. Carve an opening in your pumpkin, large enough to fit a plastic planting pot. Insert the pot. Place a few rocks at the bottom of the pot for drainage and fill the pot about half full with potting soil, arrange plants on the soil and add more soil, if necessary. Press the soil gently down to compact it. 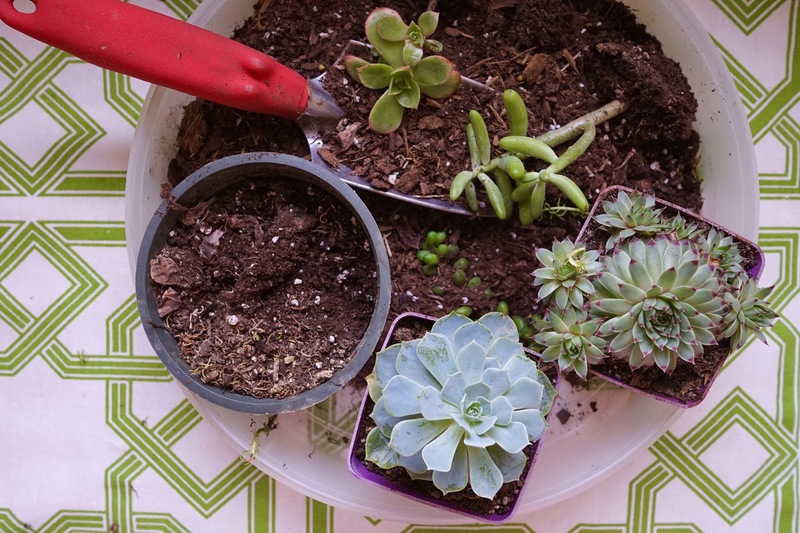 Be careful not to over water the succulents and, ideally, display them in bright light. Avoid direct sunlight if possible as this will affect the color of the succulents. GIRLFRIENDS, what would You like to see us post about? Very nice, and good idea to use succulents – with the drought from California to Washington! I agree with Janea. I love this idea, I am glad you shared it! Thanks Mel! Side note….you can do similar type plantings in all sorts of containers. Wooden crates, galvanized buckets, cowboy boots! Just remember that drainage, soil and light is key. Quick tip: Line your container with a couple of plastic trash bags before starting, to keep it watertight. Then drop on your container for planting and hide any unsightly gaps with moss. This succulent arrangement is beautiful! I would love to have something like this on my patio! So pretty!